I really enjoy almost everything that Ms. Richman writes. This did not disappoint. I really enjoyed Kylie's character. While she has had a difficult life, she knows that she wants to be better and knows that despite what society has told her, she is much happier the way she is now. 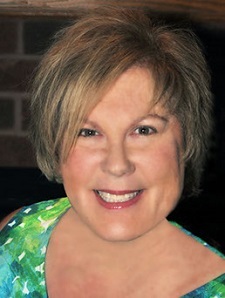 When she decides to seek some help for her mental health, she is given the name Claire Stoddard. While Kylie can't quite figure out why she's a little put off by Dr. Stoddard, she continues to attend her sessions. Then you have Jesse. He's a bad boy and while he's struggling, his bandmates kind of leave him an ultimatum – clean up his act or they walk. While Jesse is working on getting himself healthy, he accidentally walks in on Kylie waiting for her session with Dr. Stoddard. He instantly is attracted to her and they start a friendship that grows into something neither of them realized they had been searching for their entire lives. Claire is ambitious and wants to work on a thesis that deals with regression and memories from past lives. She is working on that with all of her patients and while she has a mentor, she has an ego on her and doesn't really see her mentor's point of view all that well. When she sees what her patients are revealing, she is faced with a personal and ethical development in her research. This is a story about how love will always find a way. While it might not be the way you thought, love conquers and perseveres. While I would say this is a happy ending, it's not your typical happy ending and people should be prepared to love and hate throughout the story. Stunning book, which should reach the top of the bestseller lists because it will appeal to a very wide range of readers. It is utterly entrancing, fascinating, and compelling. Ms. Richman has created a new classic in my opinion. I know I will read this again, and be recommending it to many, many friends. At its heart is a story as old as time, of a man and a woman, and as it turns out, a man and a woman destined to meet repeatedly before they can try and break the cycle. As these layers are uncovered, and we get an inkling of the darker forces at work, it becomes impossible to stop reading, yet every revelation lays bare an uncomfortable truth. I put it down three times towards the end because the tension is so high, but after a second or two to regroup, I knew I had to find out, even if that also heralded the end of the book – which I wish had never ended. If you read only one other book in 2017, then it should most definitely be this one. 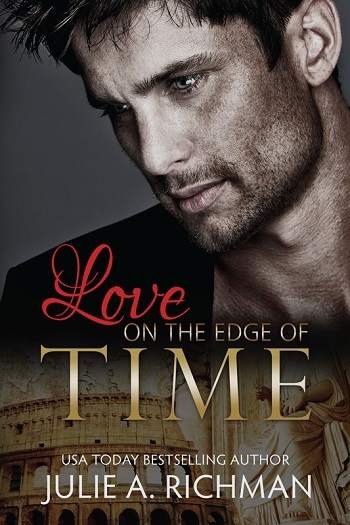 Reviewers on the Wicked Reads Review Team were provided a free copy of Love on the Edge of Time by Julie A. Richman to read and review for this tour.